The constantly evolving world of content marketing can leave people confused. There are numerous things that a person can do to market their business using content, but the key is to stay up to date with changes made in the search algorithms by Google. The content marketing world may be constantly evolving, but there are a few things that never change. 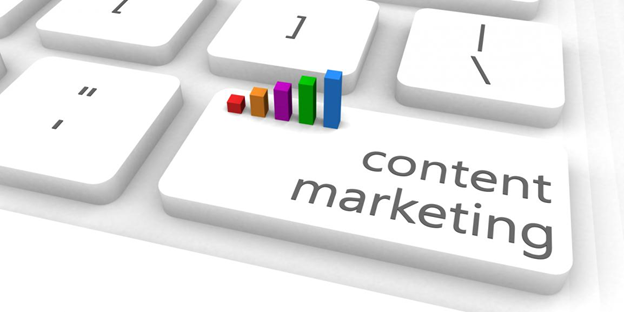 There are certain unknown factors when it comes to content marketing which, if kept in mind, can lead to very successful content marketing. The very first thing you need to keep in mind is that you need to make the content relatable to the reader. A good writer knows how to produce content that can keep the reader interested and nodding in agreement on the different points they make. Today, if a person is not interested in something, it just takes one tap or click to move on to different things. A good marketing technique is to keep a conversational tone with your reader. It is a writer’s job to engage the reader so that they read the content till the comments section. Why does this content matter to the reader? What is the reader thinking about? What are the goals of the reader? How is this content getting them closer to the goal? The writer must judge their content from the reader’s perspective. Another thing to keep in mind is that adding irrelevant information will not get you anywhere. If you can say something in 7 words, do not try and stretch it to 17. Concise and precise is a better way to go. Social media is driven by people. Content is shared and liked on the basis of it being fun to read, informative and true. Truth in content is extremely important. These days it is very easy to distinguish between absolute dribble and genuine content. A writer must always have authentic information on the subject they are writing on. This is why good research is needed before you start writing. Another thing is that the internet is very strict about is stealing other people’s content. Of the 23 must have blogging tools, the writer must have a plagiarism checker on their system. The search engines do not take kindly to content stealers. We have all heard the overused phrase, “don’t judge a book by its cover” but the sad truth is that first impressions are everything. Similarly, for good writers, it is important that their content has a catchy title, a good picture to go with it and formatting that is easy on the eyes. The writer must also be crafty as they have to hide the keyword in the title to make the content appear in the search results of readers. You need to make sure that your content is based on things that are trending. News gets old very fast on social media. If a person has seen content of a similar title before, they will never click on it twice. The writer must be well informed about the current events and the latest trends in social media. Another one of the 23 must have blogging tools is Feedburner. Feedburner provides custom content for bloggers, podcasters and other web publishers for their blog page. This blog has placed a lot of importance on the quality of content, but what is equally important here is the marketing aspect. The content writer should always keep in mind the things they need to mention for successful marketing. Keywords, hyperlinks and titles are what help the reader reach you. A good content marketer does not need to be extra creative all the time. They must know the techniques of getting other social media users interested in your work. Things such as having ‘a photo of the day’ submission contest or using someone’s story and creating testimonials out of it is a good way to go. Previous PostTips to Maintain the Battery Life of Samsung Mobile and Replace it after Damage Next PostWhat makes Tanner Grey the Best SEO Company?